Discover chic treats for your canine friends courtesy of Batch, plus fresh workout gear from Lululemon x RockSalt Pilates. When you need a clutch player, camo always comes through. Exhibit A (see above) takes the form of an oversized leather clutch made in San Francisco and inspired by the Presidio. 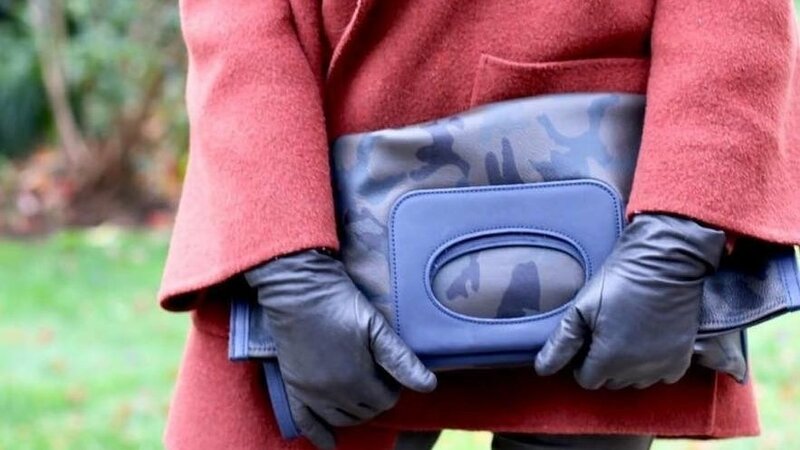 Designer Debra "Cass" Szidon's newest camo print, which also comes in a leather pouch, is serene and edgy, classic and urban, all at the same time. It makes perfect sense to the Cass brand founder, as the former U.S. Army military fort lives "where the ocean meets the bay and nature meets the city." Crafted of smooth printed leather with blue leather handles and trim, the 18-by-18-inch clutch features an interior pocket and can also be converted into a tote. Plus, the leather softens and becomes yummier over time. The Presidio clutch is $545; the Presidio pouch is $85. // Shop online at thecassclutch.com. Tie one on: Get collar-inspired by RBG and support women's rights to boot. So fetch! Batch's new collection is having a really ruff time—and we love it. Lululemon's new collab with a cult-fave studio is reason enough to stretch + sweat. RockSalt is already having a heck of a 2019. The South Bay studio—known for its Pilates-on-steroids workout that fuses the traditional practice with intense cardio, resistance training, light weights, and fast music—is preparing to open its first San Francisco location in Potrero Hill later this month. But even more exciting for us Shop Talkers is RS's newly launched clothing partnership with Lululemon. The perfect pairing was born after the Lululemon team took a RockSalt class and fell in love. The collection includes a range of signature Lulu pieces like hoodies, tanks, leggings, tees and accessories emblazoned with the RockSalt logo in various forms. // Apparel is available at RockSalt studios and online soon, rocksaltpilates.com.